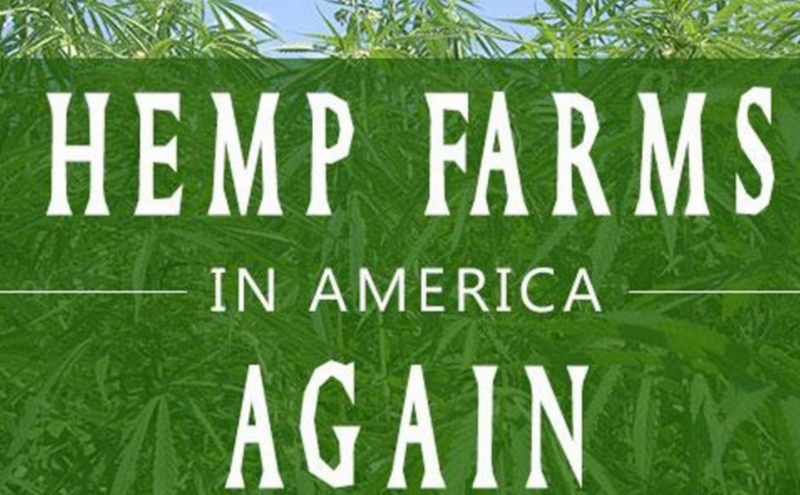 Industrial Hemp in WA State & Across America! This is a FREE Hemp History Week event! Participants will join renowned speaker Joy Beckerman, Principal of Hemp Ace International and President of the WA State Chapter of the Hemp Industries Association, for an engaging evening of updates, fascinating news, and videos about the status of industrial hemp farming and infrastructure in WA state and throughout the country! It's a most exciting time for the valuable and versatile industrial crop as it is reintroduced on a state-by-state basis throughout America, and the opportunities for involvement are endless. Come learn about this unique crop, its U.S. history and current law and policy, the spectrum of industries it serves (from nutrition, body care, paper, and textiles, to building materials, biocomposites, biofuel, and nanotechnology), and the infrastructure required to facilitate its use. This is also a wonderful opportunity to network with farmers, investors, marketers, and those who share your interest in industrial hemp! ABOUT JOY BECKERMAN: Joy Beckerman is the Principal Industrial Hemp Specialist at Hemp Ace International, a Seattle-based global industrial hemp advisory, educational, and consulting firm, as well as President of the WA State Chapter of the Hemp Industries Association and Member of NORML's National Board of Directors.After opening the first hemp store in New York in the early 1990’s, Joy served as Secretary to the Vermont Hemp Council upon passage of the first Vermont hemp bill in 1996. She then commenced an extensive dual career as a compliance and complex civil litigation paralegal, supporting some of Seattle’s most distinguished legal counsel. Joy’s earth healing purpose has also led her to permaculture with focuses on regenerative agriculture, sustainable building, and social systems. Joy is an internationally respected voice and public speaker who has presented at continuing legal education seminars and numerous universities, conferences, and panels over the last nearly quarter of a century. Working directly with lawmakers and regulators, Joy assists with bill drafting and policymaking upon request and as a grassroots activist. She is also a Hempcrete Workshop Instructor for Hemp Technologies, builders of the first permitted hempcrete homes in the U.S. Joy is the recipient of the Hemp Industries Association’s 2014 National Hemp Activist of the Year Award and Seattle Hempfest’s 2016 RegionalCannabis Activist of the Year Award.